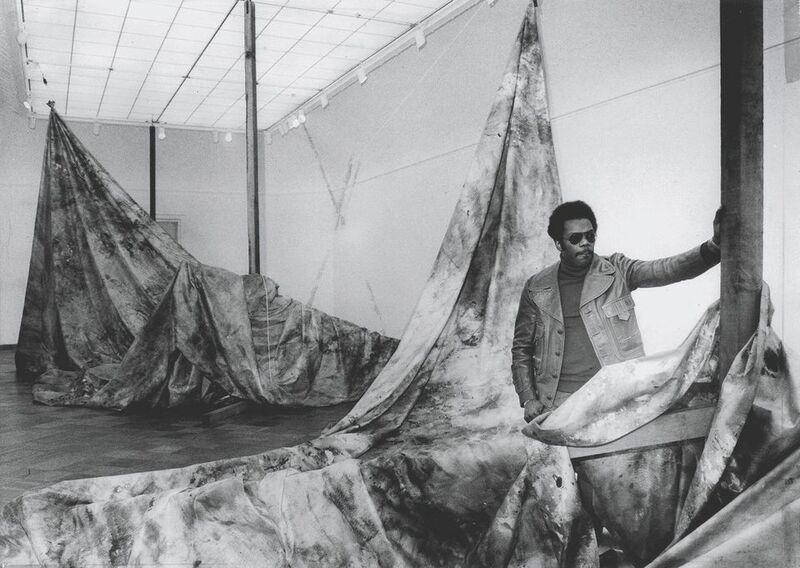 Sam Gilliam pictured in San Francisco in 1973 Photo: Art Fresh / Courtesy San Francisco Chronicle / 2018. ProLitteris, Zurich. 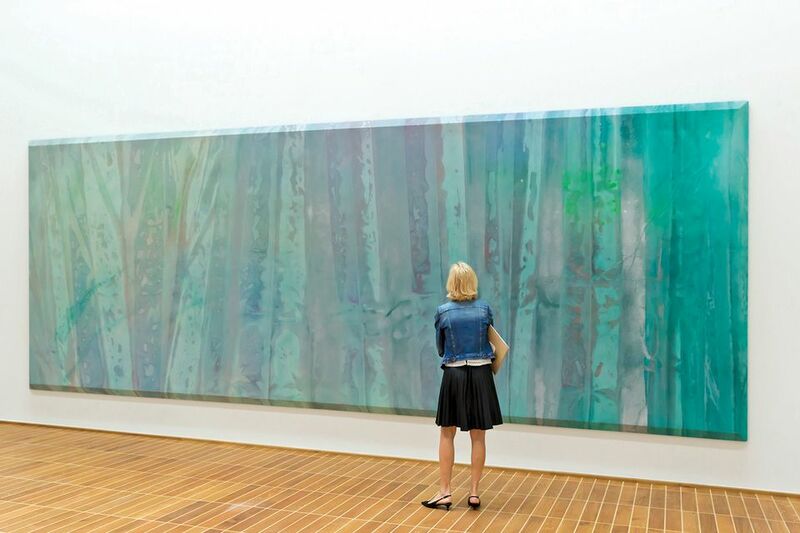 “I’ve always listened to everyone, from Coltrane to Beyoncé, but not always while I work,” says Sam Gilliam during the installation of works for his show at the Kunstmuseum Basel (until 30 September), which focuses on the period from 1967 to 1973. This is the 84-year-old US lyrical abstractionist’s first major European exhibition. He went a step further when he started his Drape series in 1968. “That is when he made his most radical decisions, to completely get rid of the stretcher, to really advance painting in a way no one had done before,” says Josef Helfenstein, the director of the Kunstmuseum Basel and co-curator of the show with Jonathan Binstock, the director of the Memorial Art Gallery at the University of Rochester. Almost like curtains or tapestries, Gilliam began to hang the canvases in corners, from the wall and ceiling. Although “he really comes from the Washington Colour Field group, he goes wildly into a new territory”, Helfenstein says. This difficulty in categorising his work is, Helfenstein believes, one of the reasons that Gilliam was forgotten for so long. “It was the time of Minimalist art, it was the late period of Pop art, conceptual art,” which Gilliam did not fit neatly into, either. “Now he’s seen again in the broader historical context, which is really the goal of our show,” Helfenstein says. The recent resurgence of looking at histories of art that are not skewed towards white male artists has led to a renewed interest in many African-American artists who influenced today’s generation. Furthermore, “there are now African-American collectors with significant means who are very much focusing on African-American art,” Helfenstein adds. 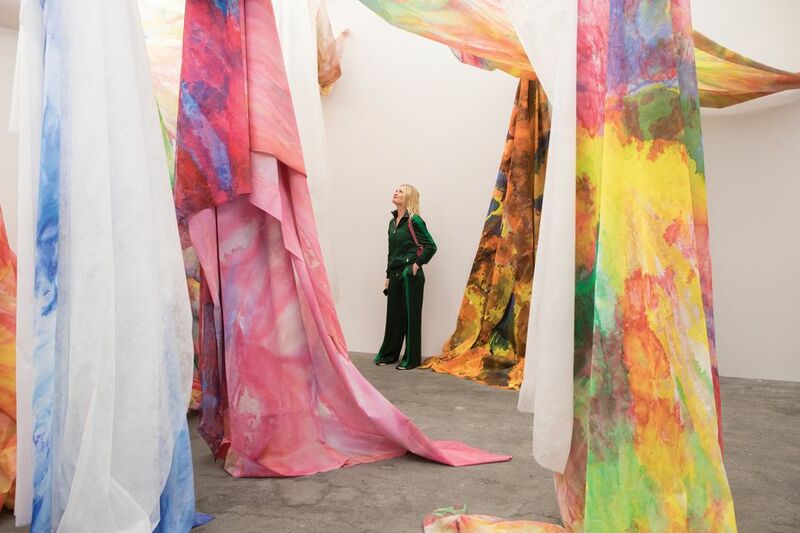 Gilliam is also showing a new large-scale work, Untitled (2018), in the Unlimited section of Art Basel with Los Angeles’s David Kordansky Gallery. “Gilliam is one of the most important US artists of his generation. It is long due that he gets more international presence,” says Unlimited’s curator Gianni Jetzer, adding that he is “thrilled” that Claude Viallat—who was a key member of the Supports/Surfaces group and is “another master of staging painting as three-dimensional installation art”—is also appearing in this year’s Unlimited. “The French and the American artist are the same age and for me they are soulmates with different backgrounds and origins,” Jetzer says. 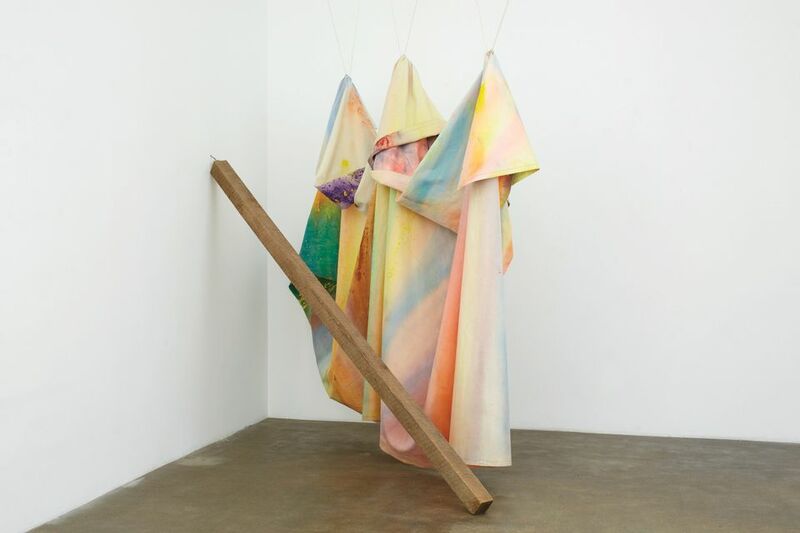 A previous version of this piece incorrectly stated that Sam Gilliam started his Drape series in 1978. The artist actually began the series in 1968. The above text reflects this correction.